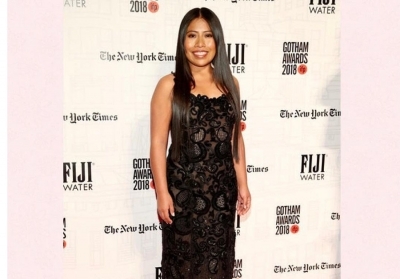 Los Angeles, Feb 13 (IANS) "Roma" star Yalitza Aparicio says she has faced discrimination because of the colour of her skin. Asked about her experience with racism in Mexico, she said: "I felt it quite strongly. I've been discriminated against because of the colour of my skin. When I was a kid, I wasn't allowed into certain groups, for example. Also, my mother works in a house. Sometimes people didn't see her work as dignified, and that was hard." "It is marvellous. I've always been very shy, and it's surprising how I got over this. People are sending me beautiful messages. They've told me that to see me this way is like a source of inspiration for them, that they feel they can be in a movie, or on the cover of a magazine, regardless of their physical appearance. It's a marvellous thing." The first-time Oscar nominee was planning to pursue a career as a schoolteacher when she auditioned for Alfonso Cuaron's film "Roma", which tackled the discrimination she endured growing up in Mexico. She is glad that she did the film. "Roma" has been nominated for 10 Academy Awards, including Best Picture. The Oscar ceremony will be held on February 24 and will be aired in India on Star Movies.